The story of Finnish volunteers in the service of the Third Reich began with a series of behind the scenes diplomatic negotiations between Germany and Finland at the post-March 1940 negotiated end of her "Winter War" with the Soviet Union. Because of their well-proven fighting qualities, Reichsfuhrer-SS Himmler expressed interest in having a Finnish contingent become a part of his growing Waffen-SS. While the Finns were open to such a suggestion, both parties were quite aware that any open recruitment into Germany's armed forces of Finnish soldiers and citizens would certainly, be interpreted as a belligerent provocation by the Soviets. Subsequently, every effort was made to disguise the enrollment of active-duty Finnish soldiers and other volunteers into the ranks of the Waffen-SS. There was also a stipulation made in a secret protocol by the Finnish government that no Finnish volunteers in the service of Germany would fight against Great Britain or Greece (this reflects the time-frame of the contract signing - Spring 1941, when the German incursion into the Balkans made these two governments the only active combatants against Germany); or any other nation, "except the Soviet Union." Clearly, the Finns wanted to respect the differences that western governments, (who had been generously forthcoming with critical military and logistical aid during the winter-war), had with Germany; but at the same time, wanted to align a major continental power in their corner against the threat of further Soviet hostilities. In this sense, the Finns decision to pursue a pro-Axis stance in the early months of 1941, well before the onset in an actual German-Russo conflict would reflect both self-interest and an astute strategic grasp of their current geopolitical situation. 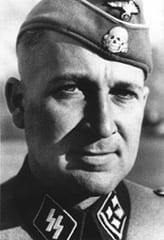 In February 1941, Himmler's Waffen-SS recruitment chief, Gottlob Berger, worked with the "Auslands-Amt" of the German Embassy in Helsinki to receive the first complement of 1000 Finnish volunteers into German service. These conscripts were publicly announced as "workers for German Industry" to avoid international complications. Because of minor differences, such as the Finnish objection to taking the Waffen-SS oath to the Fuhrer, Adolf Hitler - the bulk of the initial contingent of 125 Officers, 109 NCO's, and 850 other ranks of Finnish soldiers were held up, and wouldn't reach German soil until June 5, 1941. Five batches of Finns were sent to Germany between May and June 1941. The first three batches of men were those with previous military training experience and they were directly incorporated into the 5.SS Wiking Division (mot) already on the Eastern Front for the initial stages of the invasion of the Soviet Union on June 22nd, 1941. The remaining 2 batches of Finnish recruits were those without previous military training and they were sent to Wien outside of Vienna to form the basis of the new Finnish Battalion. Fresh drafts of volunteers from Finland joined those at Wien to train as the Waffen-SS combat infantrymen. This first contingent of Finns was organized as the SS-Freiwilligen Bataillon Nordost, but the unit was later renamed in September of 1941, to the Finnisches Freiwilligen Bataillon der Waffen-SS. The Finns liked to refer to themselves as the "Jagerbataillon" (light infantry battalion) in commemoration of the Finnish 27.Jagerbataillon that served with the Kaiser's forces on the Eastern front during the Great War. After initial training at Wien, the Finnisches Freiwilligen Bataillon der Waffen-SS was transferred to Stralsund in July 1941. In August 1941, the Finnisches Freiwilligen Bataillon der Waffen-SS was moved to the troop training ground at Gross-Born, otherwise known as "Zum Truppenlager Gross Born." A well-known image of the "Drie Grenadier" greeted all those that entered the troop training grounds at Gross Born. On October 6th, 1941, after many months of training, the ceremonial 'nailing' of the Bn flag took place, and on October 15th, 1941, the new Battalion flag was officially presented to the Finnisches Freiwilligen Bataillon der Waffen-SS during a ceremony at the Gross Born training grounds. After the official ceremonies, the Bn left Gross Born on December 3rd, 1941, and was transferred to the Eastern Front on five rail transports, arriving at Vinnitsa on December 8th, 1941. The Battalion was then sent towards the lines of the Mius River on January 8th, 1942, where it was officially attached to the 5.SS Wiking Division (mot) that was already holding positions along the Mius River. The Finnish Battalion was attached as the III Battalion of the Nordland Regiment of the Wiking Division. The new III Battalion of the Nordland Regiment officially entered combat at the end of January 1942, when it took up positions along the Mius River. Attached to SS-Wiking's motorized-infantry Regiment Nordland, the Finns would distinguish themselves as reliable soldiers during the division's summer 1942 thrust deep into the Caucasus. They would, in fact, be in the vanguard of the deepest investment south made by the German army during the campaign, reaching the Grozny oil-fields before being pushed back by the Soviets. From January 21st, 1942 to April 26th, 1942, the Finnish Bn saw action along positions on the Mius River against elements of the 31st Soviet Guards Division. During much of the defensive, positional fighting, the Finnish Bn fought alongside the Slovak Mobile Division that was also positioned along the Mius River to the North of the Finnish Bn lines. On the 23rd of January 1943, the Bn experienced its first known combat fatality when Onni Martikainen of the 3rd Company was killed by a Soviet sniper. The main focus of fighting for the next many weeks until sometime in April 1942, was on reconnaissance raids, small assault group attacks, and scouting of the enemy lines. Many artillery duels and sniper attacks also took place. In April 1942, the Bn was withdrawn from its previous positions along the Mius River and sent to Alexandrovka. This new position was also situated along the Mius River, although in a new location from the one last held by the Battalion. "West of the Mius the battalion sector was dominated by tow hills, numbered by compass as 115.2 and 114.9. The town of Demidovka lay about in the center of the Finnish lines and it was surrounded by fruit orchards which had begun coming into bloom. The battalion command post was situated in a farmhouse in the middle of the village. Upon the roof of the house, an observation post with trench binoculars was set up and this provided a good view deep into enemy territory." It was in these positions, still fighting against sniper and raiding parties, that all waited until the eventual German Summer offensive was launched in late June 1942. The objective of this offensive was the conquest of Stalingrad, and on July 13th, the southern wing of Army Group South was directed to attack towards the region of the Caucasus Mountains, with the 1st Panzer Army in the vanguard of the attack. For this assault, the 298th, 73rd and 125th Infantry Divisions were scheduled to make the initial assault into the Soviet lines, while the Wiking Division was pulled back from the lines to await a breakthrough by the initial assaulting units, after which it would thrust into the lines and attempt to smash deep into Soviet territory. When the Wiking Division was pulled back to await its breakthrough assault, the III/Nordland Regiment had all of its motorized transport and equipment removed and sent to the other two battalions of the Regiment. The Finnish Bn was then sent for rest and relaxation to Mokryj Jelantshick. The Finnish Bn stayed there from July 13th until August 10th, 1942, while the other elements of the Wiking Division took part in the storming of Rostov and in the breakthrough assault into the Caucasus region. On August 9th, 1942, the Finnish Bn received orders to finally join the rest of the Nordland Regiment now located near Maikop south of the Caucasus Mountains. From here, the Finnish Bn took part in fierce and bloody fighting in the south Caucasus region. Later, in October 1942, the Bn took part in fighting near Hill 711. The Finnish Battalion was unique from the other Freiwilliger of the Wiking division, such as the Dutch or the Norwegian contingents in Westland and Nordland, by the fact that it's Officer's and NCO's were ex-Finn Army veterans, and fully in charge. The Finns were always an independent breed, and their first introduction to German 'parade-ground' discipline was met with a steely disregard for the German language "befehle." (orders). The Finns held out for the Finnish language NCO's, and it was there and then that the Germans realized that this contingent might be formed up and kitted out as a Waffen-SS unit, but would ultimately be commanded only by Finnish speaking Officers. In March 1943, after many bitterly contested ordeals on the southern Eastern Front, members of the Finnisches Freiwilliger der Waffen-SS, facing the end of their two-year contractual agreement with Germany to fight against the Soviet Union, would, upon the advisement of their government, choose not to stay as combat troops in the service of the German armed forces. The Finnisches Freiwilliger der Waffen-SS were pulled from the lines in May 1943, and transferred to Auerbach/Grafenwohr, and then sent on to Ruhpolding, Bavaria, for rest. On May 28th, 1943, the Finnisches Freiwilliger der Waffen-SS were loaded up and arrived at Tallinn on June 1st, 1943. An official ceremony was held to greet the arrival and disbandment of the unit at Hanko on June 2nd, 1943, and another unofficial ceremony was held the next day on June 3rd, 1943, and Tempere. The troops of the Bn were then given a one month leave, after which they returned to Hanko to await the final fate of the Bn. In negotiations that the RFSS-Kommandostab and the Finnish High Command held during this period it was made quite clear to the Germans that because of the distinct threat to the Northern front implied by the massive buildup of Soviet forces, that any continued consignment of Finnish soldiers to any other sector would be dangerous to the protection of Finnish sovereignty. The unit was officially disbanded on July 11th, 1943, and members of the Bn were transferred into the ranks of the Finnish Army. The last official ceremony for the fallen members of the Bn was held on September 19th, 1943 in Helsinki. An official state-sponsored memorial to the fallen of the Finnish unit stands in Helsinki. 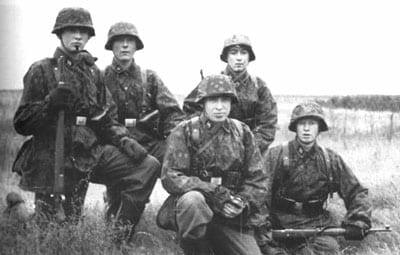 Back in June of 1943, RFSS Himmler disbanded the Finnish volunteer formation altogether from the Waffen-SS order of battle, but allowed any voluntarily remaining Finnish volunteers from Nordland to continue to serve in Waffen-SS combat units. Many accounts describe Finns serving in the W-SS well beyond the June 1943 disbandment of the so-called officially sanctioned Finnish "Jagerbataillon", and it has been universally confirmed that Finns served in the German armed forces until the end of hostilities in May of 1945 with the 11.SS-Panzer Grenadier Division Nordland, and with the SS-Kriegsberichter-Regiment Kurt Eggers ( war-correspondents), on the Eastern Front. Also back in early 1943, the Regiment Nordland to which the Finnisches Frw.Bttln.d.-SS was then attached, was detached from the Wiking Division to become the nucleus of another West-European/Scandanavian Divisional entity, the 11.SS Nordland Division. After the Finnisches Freiwilligen-Bataillon der Waffen-SS was stood down in March of 1943, and disbanded in June and July of the same year, the Estnisches SS-Freiwilligen Bataillon Narwa (Estonian) was used to replace the Finns as the third Battalion within the SS-Pz.Gren Regiment Nordland. The Estonians stayed with the Wiking Division when the Nordland Regiment was detached to become the nucleus of a new eponymously named divisional entity. The Estonians attached to Wiking were actually one of 3 battalions then forming up at the Heidelager SS-Truppenubungsplatz (training ground) in Debica, Poland in early 1943 as the 1.Estnisches SS-Frw.Grenadier Regt. They lost the I (Narwa) battalion, but later acquired sufficient manpower to constitute a 2 regiment strength (45 & 46.SS-Frw.Rgt.) Brigade (3.SS-Frw.Brigade) before being formed into a full SS-Grenadier division in January 1944. In October 1943, the Wiking was reorganized as a full Panzer Division. The Estonians became III/10.SS-Pz.Gren.Rgt. Westland. By April of 1944 the Narwa Battalion would be detached from the Wiking and renamed 20.SS-Fusilier-Btln. as part of the Estonian 20.SS-Frw.-Grenadier Division. During its tenure with Wiking, the Estonian battalion was commanded by (German) SS-Sturmbannfuhrer Georg Eberhardt, and it's Feldpostnummer was 48 314. Reports of the Battalion's strength vary, but it was said to have been as great as 1280 men when attached to SS-Pz.Gren. Rgt. Westland. The honorific title Narwa was also reported to have been unofficially continued as part of its new SS-Fusilier-Btl. designation. The casualty rate for Finnish volunteers in the Geman Armed Forces is a reported 222 killed and 557 wounded (See below for more info on this). 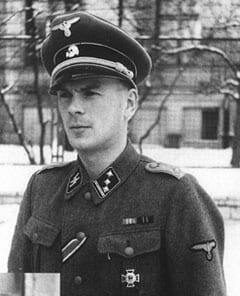 A replacement company was formed in September, 1941, with SS-Obersturmfuhrer Schroder as the company commander. It was formed in Radom, and then later transfered to Granz. The Finnish Bn disbanded its 4th Machine Gun Company on May 12th, 1942. The MG platoons of the former 4th Company then became MG platoons for each of the other 3 Companies of the Bn. They were also joined by mortar squads, each squad with two 80mm mortars. This new arrangement gave each of the 3 Companies of the Bn better fire support. This change was finished by May 15th, 1942. When the original 4th Heavy Weapons Company was disbanded, a new one was formed, this time consisting of engineer, anti-tank, infantry gun, and signals platoons. The Bn was officially made a part of the Wiking Division on May, 23rd, 1942. When this occurred, the Komapanie 1, Kompanie 2, Kompanie 3, and Kompanie 4 of the Bn were renamed as Kompanie 9, Kompanie 10, Kompanie 11. and Kompanie 12 of the new III/Nordland Regiment. When the Finnish Bn became the III/Nordland/Wiking, the previous III/Nordland was split up and separated into the other two battalions of the Nordland Regiment. Finns were not originally considered to be of the Nordic race. Therefore the goal of the SS recruitment office was to recruit Swedish speaking Finns (preferably National Socialists), whom they regarded as Nordic. The Finnish government realized that the recruiting to SS could be politically problematic. Therefore the goal of the government was to have volunteers from all classes and political circles (including social-democrats). The final result was something between these contradictory goals. There is some evidence that the upper and middle class and farmers were presented in greater numbers than in the whole population. Germans wanted volunteers that are 17-30 years old. They got men that were 15-36 years old. Average was 21.6 years, about 50% of men were 18-20 years old. The first draft was sent to Germany in five batches (departures 6th May -5th June), total 1197 officers and men. Note, the figures 125 officers +109 NCO's +850 men are based on Standartenfuehrer Tack's report on 20th May 1941, figures are not final, especially the number of officers decreased. From the first three batches, men that had combat experience was attached directly to the Wiking division. These men are called division men in the Finnish literature and the rest are called battalion men. About 60% of the division men had combat experience in the front line, on the other hand, 8% didn't have proper military training at all when they went to combat. About 22% of the battalion men had been in the front line during the winter war. These men, as well as the other trained men, had to go through the whole training. The Finnish officers got corresponding SS-ranks but initially, they didn't get organization positions as officers (i.e no platoon leaders or company commanders). First, the NCO's were not recognized at all. Later the situation improved, but the Finnish battalion was newer completely led by Finns. Many officers and NCO's were released and returned to Finland before the main disbandment in July 1943. The second draft consisted of 201 men that were recruited by the army. All men had combat experience more than 6 months. They left for Germany in September 1942. These men got an ironical nickname 'the 200 brave ones'. In addition to the two drafts, there were about 10 men that served in the Wiking division, among others one man that probably was not a Finn and another man that was a double defector/spy. The exact number of men that served in SS after the main disbandment is not known but probably the men whose disbandment date is unknown continued serving in the SS. There were Finns in three courses at the SS Officers school Bad Toelz. Course 1, Spring, 1942 to December 1942 had 7 participants, with 6 graduates. Course 2 from January 1943 to July 1943 had 18 participants with 15 graduates. Course 3 from June 1943 had 17 participants but none actually graduated, all participants were sent to Finland after the general disbandment of the Finnish battalion. The participants of the second course were all privates and not NCO's. When Steiner realized that, he promoted them all to Unterscharfuehrers, the lowest NCO rank, before sending them to the Junkerschool. There are no official documents concerning the decorations, but Veikko Elo (ref 2 below) has tried to solve the question. His data consists of about 1000 cases. About 25% of the men got some form of decoration. No one was awarded the Knight's Cross or the German Cross during their service before the disbandment. Two men received the Iron Crosse and in addition, their names were mentioned in the bulletin "Ehrenblatt des Deutschen Heeres". They received diplomas signed by Adolf Hitler as well. After the disbandment in July 1943, some men continued service in the SS. It seems that at least one of them, Obersturmfuehrer Ulf-Ola Olin received some form of higher decoration. The Finns were not much more distinguished from other non-Germans with respect to military achievements and awards. See below the German statistics concerning the foreign volunteers in the Wiking Division. These statistics were formed on the 19th of September, 1941 (ref 1).